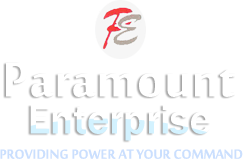 The company, Paramount Enterprises commenced its operations in the year 2002, with the vision of making available optimum quality gensets and inverters to the clients. Mr. M. S. Nayyar, the CEO of the company, is a highly experienced man with deep knowledge about industry dynamics. Due to his sincere efforts and commendable managerial skills, we have attained top most position in the market. We are backed with the established network of renowned manufacturers and authorized distributors for procuring excellent quality products. Selection of vendors is done after through market research and ensuring that the products we are offering are high on quality and performance. We have appointed panel of efficient supervisors for looking after the entire procurement process. We also have a team of quality auditors for checking the performance and consistency of products available with us. Apart from that, we have a dedicated force of mechanical engineers for rendering world class generator repair and maintenance services to the clients. Being a quality conscious organization, we aim to maintain high standards off quality in the products offered by us. We have strict quality control mechanism and testing facility for checking products on various parameters like energy consumption, shock absorption, ability to withstand high temperature, etc. before making final delivery to the clients. Our customer centric approach plays a vital role in meeting the specific demands of the clients with precision. With the aim of achieving maximum customer satisfaction, we have started following sophisticated delivery mechanism that ensures timely delivery of products in flawless condition. Customized packaging solutions are also available for delivering products to the clients place in proper condition within the stipulated time frame. We ensure to render services that can satisfy customers to the fullest and keep their gensets trouble free for a longer period of time.